Offers different opt-in form types including popups, notification bars, scroll box, slide ins, sidebar and embedded forms. Event triggered emails to keep your subscribers engaged including new blog post notification, welcome messages and email digests. MailOptin is the ultimate WordPress lead generation and email automation plugin proven to grow and engage email list subscribers. 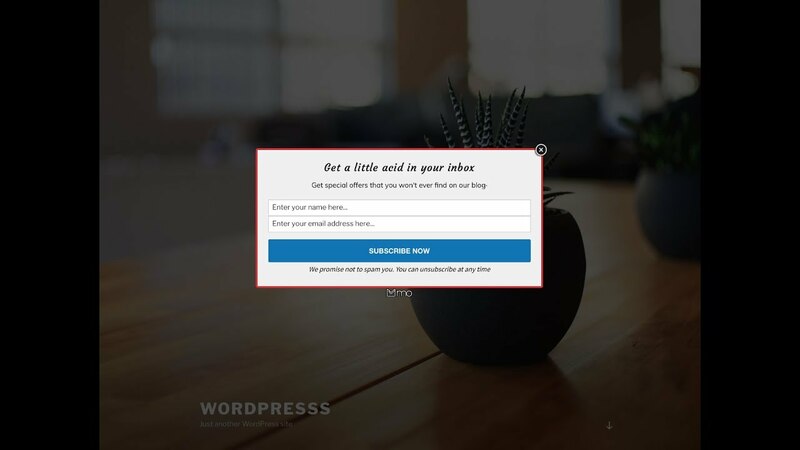 MailOptin grows your Campaign Monitor email list by displaying targeted opt-in forms that are beautiful and conversion optimized across your WordPress sites without writing a single line of code. Never lose customers and subscribers that took you a lot of effort and money to build. MailOptin helps keep them engaged by sending them event-triggered emails such as a new post email notification to your subscribers whenever you publish a new article. You don’t have to leave the WordPress dashboard again to send newsletters. We integrate with the Campaign Monitor API to send campaigns on your behalf. For information on how to set up MailOptin, check out their setup guide here.